Few countries have an allergy season quite as merciless as Australia's. 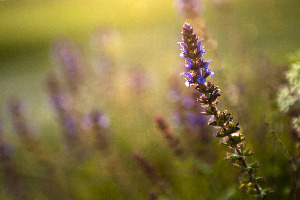 The transition from winter to summer can be a hellish one for hay fever sufferers, as sprouting plants and flowers release their allergenic loads of pollen into the atmosphere. As such, hay fever sufferers should take every precaution they can to limit their exposure to pollen which can provoke their condition, and one of the most effective ways of doing this is by placing an air purifier in your home. How Can an Air Purifier Help With My Hay Fever? The runny nose and other cold-like symptoms of hay fever are not caused by any disease or pathogen, but are an allergic reaction provoked by small particles that enter the nose. Typically, these particles are airborne pollen particles, released by a countless variety of plants during the spring and summer to fertilise other plants. However, hay fever can also be provoked by other, non-plant based piece of particulate matter, such as dust, skin flakes and dust mites carcasses. Installing an air purifier in your home, therefore, can be a tremendous boon for any hay fever sufferer. These purifying devices pass the air in your room or home through a serious of extremely fine filters, removing virtually all traces of solid matter (including pollen particles) from the air before releasing it back into your home. Some air purifiers supplement this process using solid, absorbent materials that attract and hold particles, or with intense heat that denatures pollen particles until they can no longer provoke a reaction. In any case, the result of an air purifier’s labours is purer air in your home, making it a safe haven against the worst of the allergy season. What Kind of Air Purifier Should I Choose for My Hay Fever? Opt for physical filters. Some inexpensive air purification devices use activated charcoal or other absorbent media to purify air and are best suited to removing harmful gaseous compounds and other molecular contaminants from your air. They are not, therefore, particularly suited for catching larger, solid matter such as pollen particles, so you should choose a purifier that either uses solely physical filters or supplements its absorbent media with physical filters. Choose HEPA. If it is within your budget, you should opt for an air purifier fitted with high-grade HEPA (High-Efficiency Particulate Arrestance) filters. These specialised filters use a deep array of extremely fine, randomly arranged fibres to catch their particulate prey, and are capable of filtering even very tiny pollen particles from your home's air column. Go for a timed or remote-controlled purifier. If you spend long periods outside of the home despite your hay fever, it can be disheartening to come home only to find shutting off your purifier has left your home's air column riddled with pollen particles. However, running your purifier constantly is never good for your energy bills, so consider choosing a purifier capable of activating itself using a timer. Alternatively, some advanced air purifiers can be remotely controlled via a smartphone. If your home does not have central air conditioning. Doors and windows are the main avenue by which pollen particles can enter your home, so your purifiers should be placed close to them and allowed to purifying outside air as it comes indoors. Check for ventilation channels, such as long, narrow hallways, where lots of air passes through relatively quickly, as faster airflow allows faster air filtration. If your home has central air conditioning. Having a central air system or ducted air conditioning simplifies the purifying placement process. Simply place a suitably powerful air purifier near the intake of your conditioner, and the cool air that emanates from your system will effectively be 'pre-filtered'. Alternatively, you can go the whole hog and have an air purifier system integrated directly into your air conditioning system. Hopefully, this blog will help you find the right air purifier to make your home life much more bearable this allergy season/ However, if you have any further questions or concerns, or want to speak to one of our professionals about purifier choice or placement, feel free to contact us.